How Great is our God.... Let all the world rejoice!! Let all the world rejoice!! 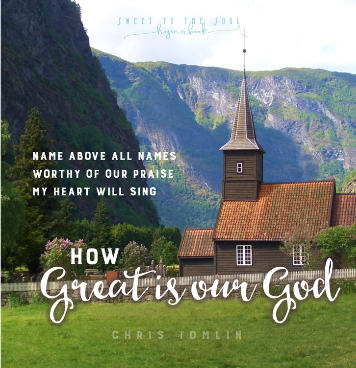 Today's blog post is part of our series SundayHymnBook, where I have invited others to visit on Sundays and share about how a particular hymn or worship song has impacted their life. How has this song impacted your worship experience? I would love to hear from you in the comments below. 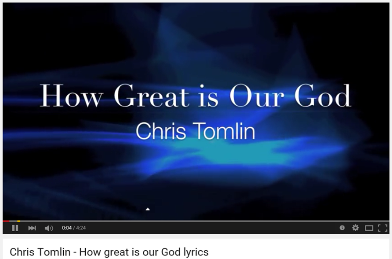 Do you have a hymn or worship song which holds special meaning to you? Would you like to share your story with others? You don't have to be a writer or blogger to join us in this series, just love God and love His music! So if you would like to share your story one Sunday, just drop me a line at jana@SweetToTheSoul.com. Having experienced her share of grief, Susan learned God shines the brightest light in the darkest moments and shows up when we need Him most. You too can find grace in the midst of grief and calm in the chaos of life. You can connect with Susan on her blog at www.SusanBMead.com. Thank you Jana. God is so good.